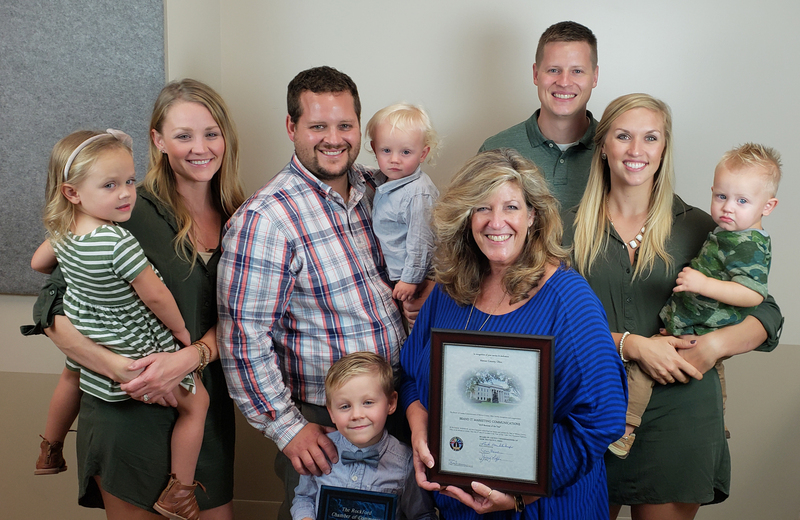 The Rockford Ohio Chamber of Commerce business of the year is an award recognizing an area business for its involvement and dedication to the improvement and promotion of the Village of Rockford. This year’s business of the year winner exhibits all those qualities and more. The 2018 business of the year has always had Rockford’s best interest at heart. A long time Chamber member, over the years, this business has had several representatives serve on the Chamber board in addition to being active volunteers for Chamber/community activities. various church activities and more. Each employee of the company recognizes the importance of giving back to the community and is encouraged to make a difference. Do you have any guesses on who the business of the year is? I bet by now, you have an idea of who the business of the year is? If not, let me tell you a little bit about the history of our Business of the Year. Officially established in 2004, our business of the year began making its footprint in the marketing industry by providing design and branding expertise for a wide variety of clients. How did this design firm come to be, in a rural setting? Twyla and Pete Hayes are the owners of Brand It Marketing. With Pete’s agribusiness degree, print and marketing background, and Twyla’s visual communications and graphic design degrees and technology skills, the two were able to create a niche in agri-marketing. Since establishing the business in 2004, Brand It Marketing has grown from just 2 employees to 8 employees (and a few contractors) who work together and provide creative traditional and digital marketing solutions for customers. Websites, social media, customer strategies and personas, professional photography and videography, creative graphic design and print materials, and more.